Dr. David Mitchell has been in practice since 1996. At Mitchell Chiropractic, we offer natural healing solutions to help you feel better and get back to doing the things you love. 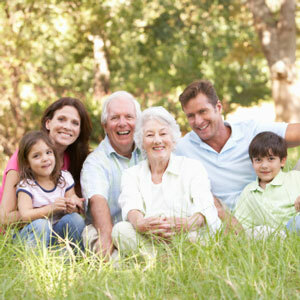 We see all ages, from babies to the elderly, as well as those with sports injuries and auto accident victims. Chiropractic care, massage therapy and ARPwave therapy are available at our office. There are options for health care that don’t involve medications and surgery. If you’ve seen a medical doctor, you may have been given a prescription that you need to take, possibly for the rest of your life. We want to show you drug-free relief for your pain and discomfort, no matter what your age or current level of health is. Mitchell Chiropractic’s casual atmosphere will put you at ease from the moment you walk in. At our chiropractic care center, we’ll start with a thorough examination, then explain to you what chiropractic is and the techniques that we use. We’re not forceful or pushy, and you won’t be given a treatment plan that involves frequent visits for several months. We’ll answer all your questions, making sure you feel comfortable before beginning. We welcome the opportunity to meet you and find out how we can help you reach your health goals. Contact our chiropractic office today to schedule your appointment!